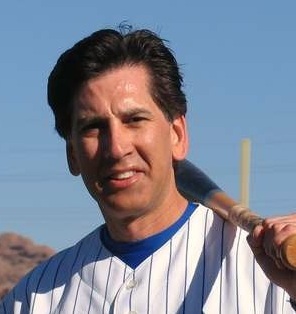 Editor’s Note: I do not know John Keazirian personally, though we have communicated recently about life, how cancer has thrown him a curve, as well as his MSBL presence in Chicago, where I have also played and share wonderful memories. I do know Charlie LaDuca from ProBats a little better, as Charlie’s company has been a consistent advertiser on our website. Charlie has become a friend so I paid close attention when he sent me a note (below) that his long time friend John Keazirian sent him while in a reflective mood. There are messages within this narrative that I think are important to share, as John paints the integral parts of a marriage between life, health, success, failure and baseball. I first had the pleasure of meeting Charlie LaDuca, founder and owner of ProBats, about fifteen years ago at a booth on the concourse of the Tempe Diablo Stadium. I was playing on a team from the Chicago North MSBL at the MSBL World Series in Phoenix. Recently Charlie found out I was going through another round of chemo therapy while I continue in my fight with lymphoma. One way or another I’ve been fighting cancer since 1988, initially receiving radiation therapy followed by chemo therapy from time to time as needed. In my younger days, I had pushed through and kept playing ball but this time I have had to take a few weeks off in the first weeks of my chemo regimen. I mentioned to Charlie that I had just played in my first game after returning from my chemo treatment and didn’t fare too well. He encouraged me and my sister telling her that I had the right spirit and to tell me to keep fighting. Hearing Charlie’s words really spoke to me and made me reflect on the benefits I’ve received from playing baseball into my 60s, with some of my teammates well into their 70s. I reflected on the place that baseball as a sport has had in my life and the place of honor that my teammates and other ball players hold in my life. I think very highly of the game of baseball because it is about the only sport that virtually everyone can play. Any age, shape, size and skill level can compete satisfyingly in one way or another. I have played all the major sports throughout my life. In all of this time I’ve never found a sport that so traditionally and consistently provides the joy of good old-fashioned fun and fellowship as does the game of baseball. No sport sets aside half of their contest to provide a time and place for socializing the way baseball does when teams are gathered in their dugouts. And remarkably this social aspect of the game, which provides a rare escape from the pressures of life for many of us, takes nothing away from the urge to compete at the highest levels we can muster. I think very highly of the players of the game of baseball. I have never found a sport that provided as even a distribution of every cross section of American residents as baseball. Over the years I have seen the baseball community in Chicago become a band of brothers whose role in each other’s lives goes far beyond the role of on-field teammates. The relationships go deeper and have become pillars that we can lean on in times of need. As we have aged many of us have found that our personal needs have become more and more profound. Our need for empathetic support goes beyond things like supporting each other though the injuries, the surgeries, the implants and the diseases to now include the devastating and family shattering experiences like divorces and untimely deaths. It’s been my privilege to see the way my friends and teammates have provided support just within the past months for teammates who are facing horrible divorces and even worse, the sudden and untimely deaths of adult children as well as gnawing depression caused by family members losing their fight with deadly addictions. At times like these the baseball family shows why we consider ourselves to be as much a fraternity of brothers as a sports league. So, when guys like Charlie LaDuca offer me a word of encouragement and when teammates of mine keep after me to get back on the field and when friends and colleagues on the ball field bring care packages to my home and when I see fellow teammates show up en masse to funerals in support of our teammates – well, I am honored and thankful to be a part of this fellowship of both men and women that we call the American Pastime. I’ll say one more thing. Thank you, Charlie, you have enriched my life. We both share a membership in the fraternity of baseball brothers and I wish you the best.